As The Boatanista, I enjoy boating year-round, even during the winter season. While we do not get the worst of winters here in the sunshine state, the water temperature will drop to about 45 degrees at its coldest. For us Floridians, that is practically freezing temperatures! Cold-water boating is a completely different and wild way to enjoy being out on the water, as there will be significantly less boat traffic yet a thrill in cutting through freezing waters. One of the many benefits of being a member at Freedom Boat Club is the ability to visit any of our 170+ national locations, including 5 in Canada, any time of year. This allows our members to have access to our many northerly locations for cold-water fishing and boating activities. While cold-water boating is fun and exciting, there is always a possibility for hazardous accidents and errors. 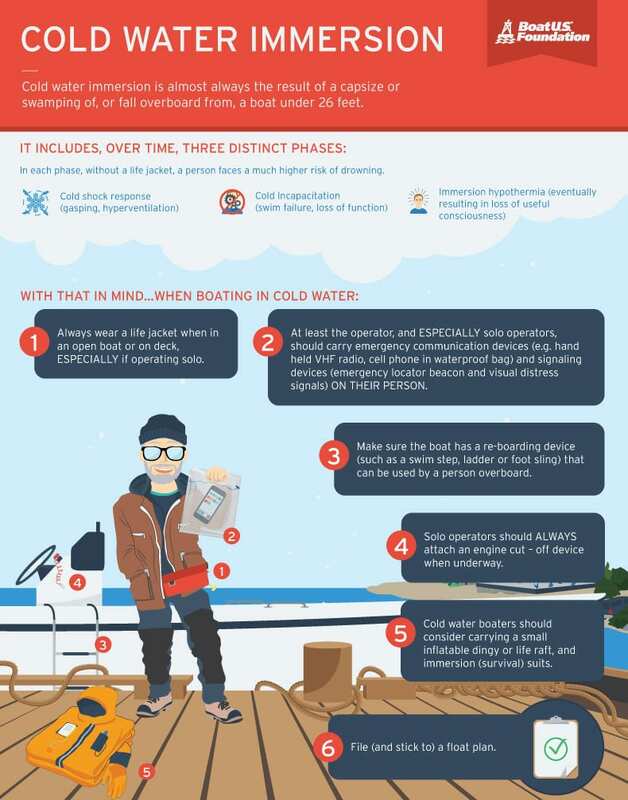 It is important to be prepared for what can happen, and understanding how to survive a cold-water immersion is key for fun and safe boating! Bring a windbreaker! This may seem obvious, but it is important to not only bring a jacket but to wear it under a windbreaker. It may not seem as cold on the docks but out on the open water in a moving boat, the wind chill can almost half the temperature depending on how bad. The best way to stay cozy on the water is to battle the wind chill. Be prepared for the sudden shock of immersion and the incapacitating effects of cold water. Bring back up warmth, if you get wet you will need to warm up fast. Hypothermia is the most common killer in the winter months for outdoor folk. If you get drenched when you are out in the open water you will need dry clothes, blankets and towels to maintain proper body heat. 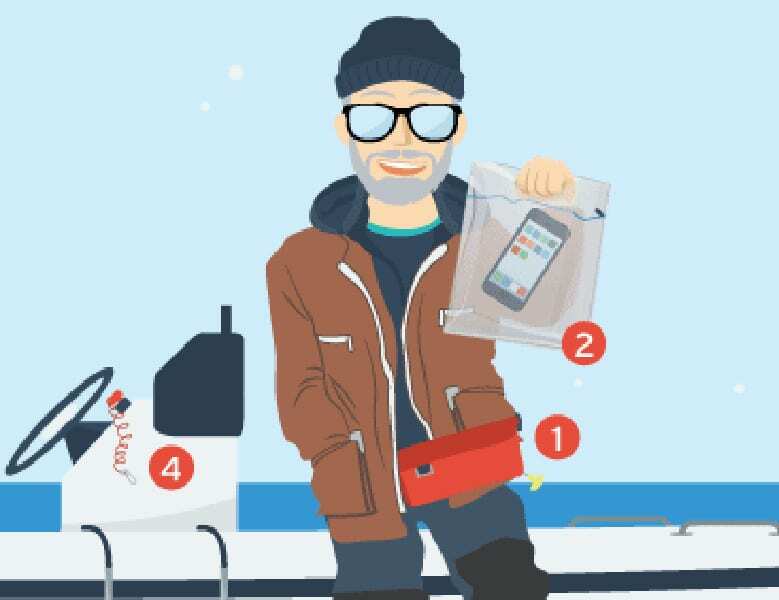 Be sure to keep these items in a waterproof container. Wear a life jacket at all times, sudden immersion in cold water can have severe physiological consequences, including cardiac arrest and quick loss of body heat (the body loses heat 25 times faster in cold water than in cold air) and involuntary inhalation of water that results in drowning. Wearing a life jacket can keep the boaters head above water, keep the person warm, and provide a chance for rescue. If it is particularly cold, bring ski-goggles instead of sunglasses. Regular glasses will not be able to protect from the biting cold. To keep your eyes from tearing up when you ride, rock a set of ski-goggles on the water. As always, boat safe and sober. Save the alcohol for when you safely return. Below is a helpful infographic you can easily download to a mobile device for check list before you head off on the water.